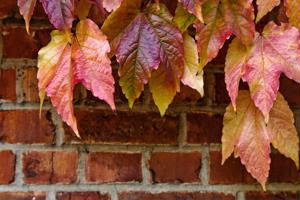 Three fun fall activities that seniors will enjoy. Fall is just around the corner and as the weather starts to cool off, your clients may be in search of activities that can keep them occupied now that they're indoors more often. There are plenty of fall crafts that are not only fun to complete, but will work your client's brain so they're staying sharp. Fall-themed cooking: Baking and cooking is a popular activity for many seniors. When autumn arrives, encourage them to head into the kitchen and whip up some fall-themed snacks. This can include making cookies shaped as leaves or baking a tasty pumpkin pie. They may also want to make an apple pie, especially since fall means apple harvesting time. Crafting with leaves: Your client will be feeling like a kid again when they're crafting with leaves. Whether you're using the real thing or you've purchased some artificial ones from the store, your clients can make a wreath or abstract picture with them. Pumpkin decorating: Even if your client doesn't have a steady enough hand to carve a pumpkin, they can still decorate it using paint and glitter.